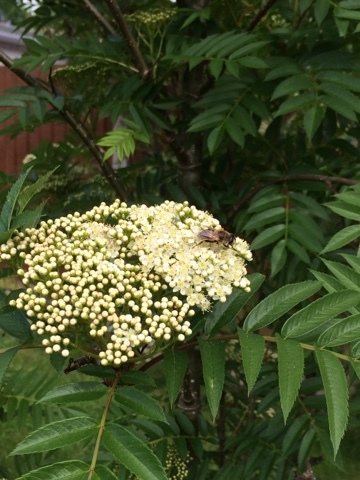 The rowan tree in our garden is opening its flowers now. They have that lovely white flower smell, and the flowers are such a froth. The first year, there was only a couple of flower heads, but now it's much more prolific.